Standard quote is for 2 hours playing spread over 3 hour period. 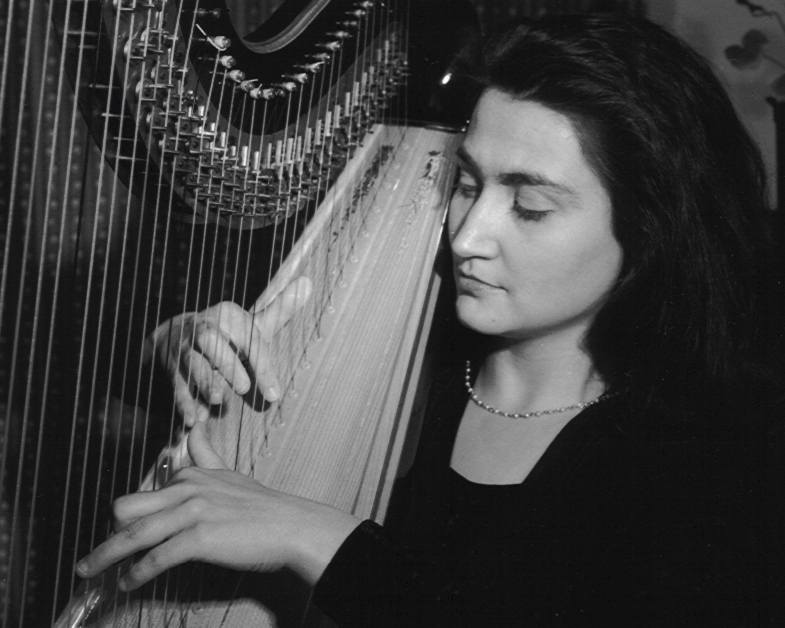 A highly gifted and experienced harpist, Alice graduated with honours from the London College of Music in 1991, and then went on to study at the Eastman School of Music in New York where in 1993 she gained her Master of Music, Performance and Literature. Her orchestral experience has included working with the Scottish Chamber Orchestra, National Symphony Orchestra, Northern Ballet Company, the English National Ballet and the Royal Scottish National Orchestra. Alice has also recorded with the RTE Orchestra, the Empire Chamber Orchestra in the USA and for RCA records in London and her recordings have been broadcast on Classic FM’s Henry Kelly show. Solo performances have included: The International Harp Festival in Manchester; Nordwestfallen Festival in Bochum, Germany and the Heidelberg Castle Festival of Opera. Alice has performed at many weddings, parties and corporate functions. She has also appeared at numerous prestigious venues including Harrods of Knightsbridge; Café de Paris; The Manoir aux Quat’ Saisons; The Reform Club, Pall Mall; Oatlands Park Hotel; Eastnor Castle; Lucknam Park, Wiltshire and even circled the globe performing on a world cruise for Cunard’s Royal Viking Sun. Alice’s repertoire covers many styles including classical, folk and jazz/swing. Weddings are one of Alice’s specialities and she has a wealth of experience on advising couples on the most appropriate music to choose for both religious or civil ceremonies. The price quoted is for up to two hours playing time over a three-hour period. Alice Trentham is based in London. See Pricing for details of travel costs, etc. "It was an extremely hot day and Alice kindly agreed to play in the garden of the venue during the pfficial photos and then move inside to play the guests into the main room for the wedding breakfast. Nothing was too much trouble - excellent." "Alice played at our official office opening and we received a great number of comments from people saying what a novel and lovely idea it was to have a harpist. Alice was extremely professional and was lovely to deal with. Thank you."